Nile Cruise Luxor Aswan offering unique selection of Luxor and Aswan Cruise, Book Nile Cruise Luxor Aswan to enjoy Egypt Pharaohs History by visiting the magnificent Temples in Aswan and Luxor. Discover the magnificent culture of Ancient Egypt on one of the most elegant Nile cruises, the Movenpick MS Royal Lotus Nile Cruise sail on the immortal Nile River between Luxor and Aswan. Discover the glory of Egypt history over 5,000 years on board Ms. Amarco I Nile cruise. 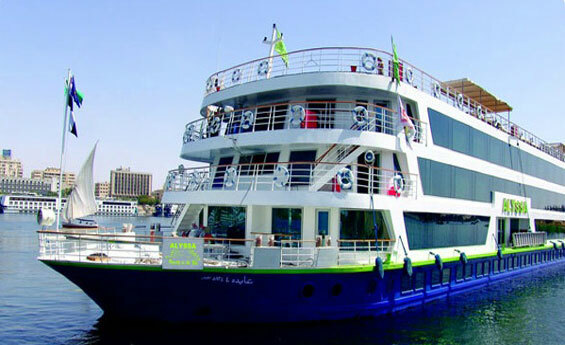 The Ms Amarco I Nile Cruise offers its guests a wide range of features and facilities in addition to a number of special events and more. Enjoy a fascinating and memorable vacation on board MS Farah Nile Cruise, as it offers a deluxe comfortable accommodation in addition to a wide selection of Luxor and Aswan sightseeing tours and excursions. 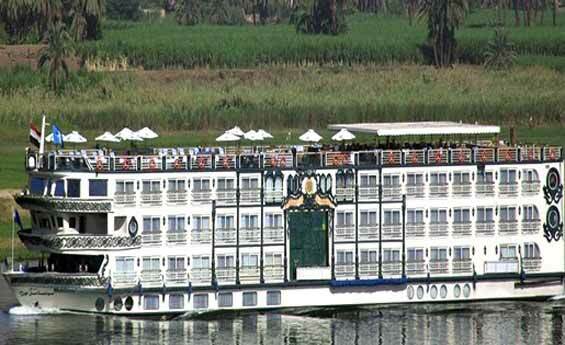 Discover the Nile in style, book your place on board The MS Movenpick Royal Lily Nile Cruise. Enjoy your vacation with one of the most elegant and luxurious ships, see the most amazing ancient monuments between Aswan and Luxor. Experience the magical atmosphere of the ancients on board Ms Sabena Al Gamila Nile Cruise, discover Egypt civilizations, The Ms Sabena Al Jamila Nile Cruise offers a real luxurious accommodation with a high class services. Explore Egypt on board one of the most stunning ships in the country, the MY Lti Alyssa Nile Cruise is a five stars Nile Cruise with deluxe spacious cabins including panoramic view windows overlooking the charming Nile River. Sail on the fascinating River Nile on board the most luxurious floating ship, the Sonesta Moon Goddess Nile Cruise, which offers a variety of programs to explore the ancient Egyptian magical sights in Luxor, Aswan and more. Nile Goddess Nile Cruise, Cruising the magical River Nile on board the Nile Goddess Nile Cruise is a unique experience, Book Nile Goddess Nile Cruise with Shaspo Tours, as the ship offers an elegant style accommodation as well as many deluxe features and amenities. Explore the ancient history of Egypt and amuse yourself with the beautiful scenery as you cruise the immortal Nile River while boarding an elegant five stars Nile Cruise, the Sonesta St. George Nile Cruise.